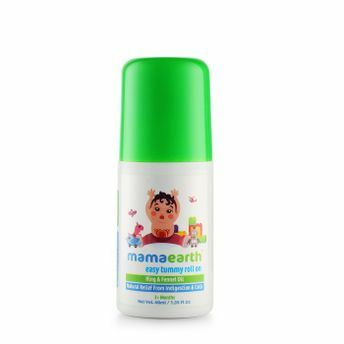 Mamaearth's Easy Tummy Roll On for Digestion and Colic Relief is the easiest and most natural solution to your baby's tummy problems. Prepared from a blend of essential oils like fennel oil, peppermint oil, ginger oil and dill seed oil, it helps in relieving stomach aches and bloating. The age old Ayurvedic recipe of hing oil helps in treating digestive issues and easing bowel movement. All ingredients used are natural and free of toxins. No added preservatives, alcohol or any other harmful chemicals makes it an ideal choice for your baby's sensitive skin. Explore the entire range of Feeding and Nursing available on Nykaa. Shop more Mamaearth products here.You can browse through the complete world of Mamaearth Feeding and Nursing .